I received like dozens of questions recently about "what lip colour you use?" 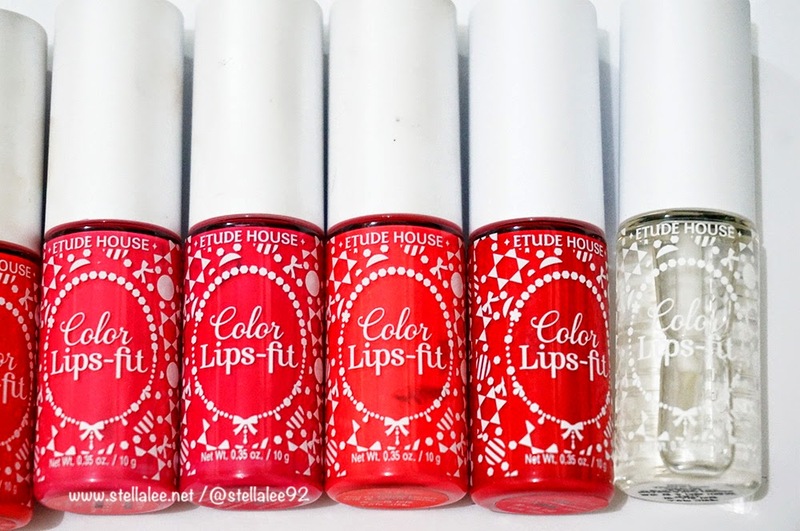 I often change my lip products because I love collecting lip products, but recently I am very very into bright coloured lips, and I have been using Etude House Color Lips Fit like a crazy woman for the past few months.. Anyway, here's my review about this product! 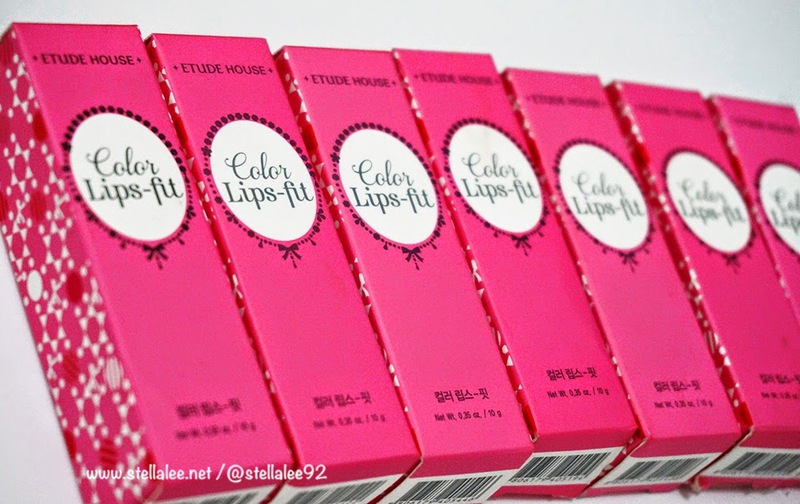 Etude House Color Lips Fit comes in a pretty pink box. 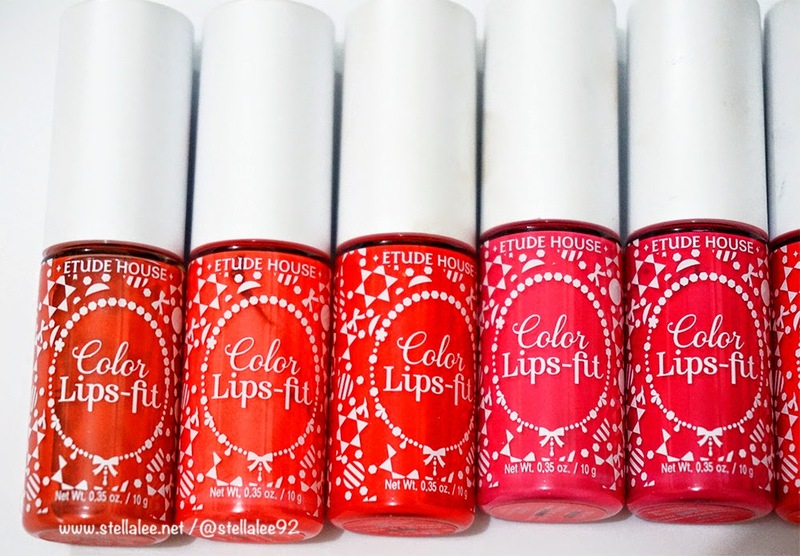 It's a lip cream and is the collection of Etude House 2014 Spring. 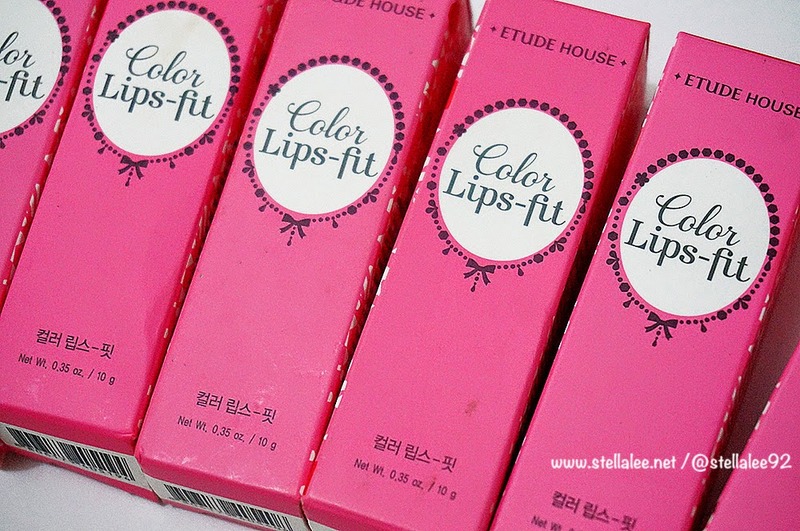 As always Etude House always has pink and cute combination for their products and it's always their trend mark. 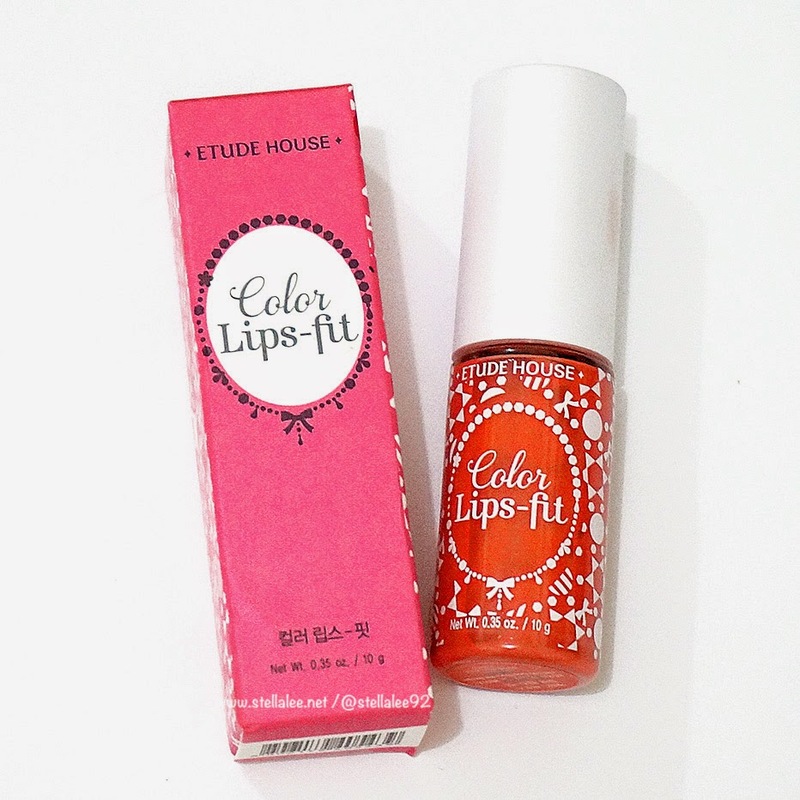 This Color Lips-Fit also has some fruity floral scent that I like! The price in Korea is 9000 Won [10 USD] which is not bad! 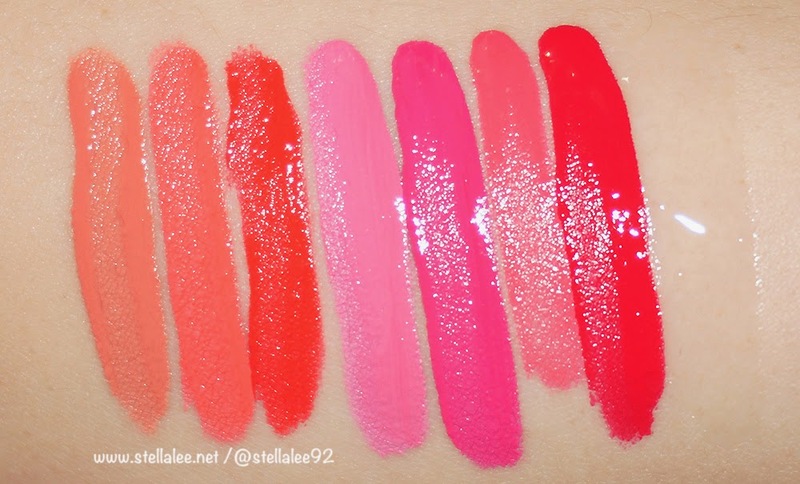 lebih recommended color lips-fit ini apa nyx soft matte lip cream, stel? apa karena kulitku pale kali ya? OR-201 yang di aku hasilnya kaya PK-001 :v kak stella pake lipliner gak setelah pakai itu? Great review. looks just awesome on you! I live in the US and I loved this so much on you I picked up 301. Thanks!! waw kawaii,, I love the 201 one. it's look natural for me. how u form your hair? Would love to see the result on you! Very lovely. Would love to try this out, especially BE-101, PK-001, and RD-301. wow, Love your blog sooo much, can you please check out mine? Maybe we can follow each other, that would be great sweetie! 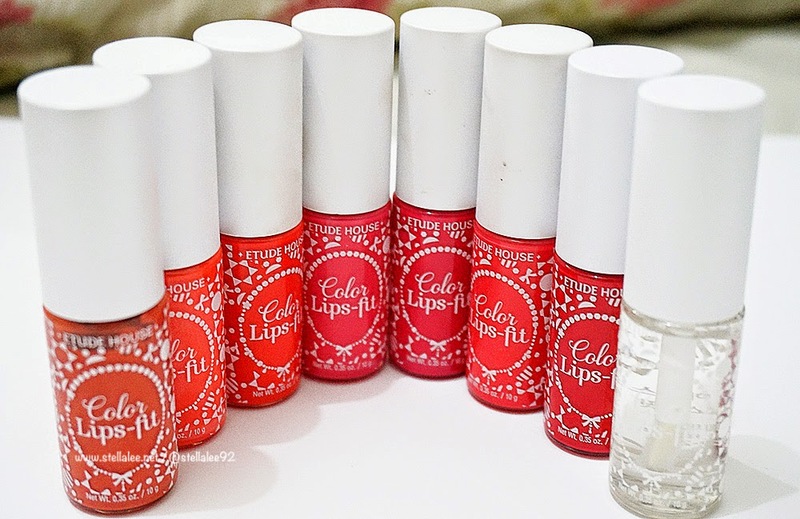 Hi, love this post, and ill try this lip product. By the way can i ask which lens are you wearing. love them! Waaah I'd totally buy this lip tint if it wasn't so drying. :( I have super chapped lips so I guess this won't work so well on me haha. 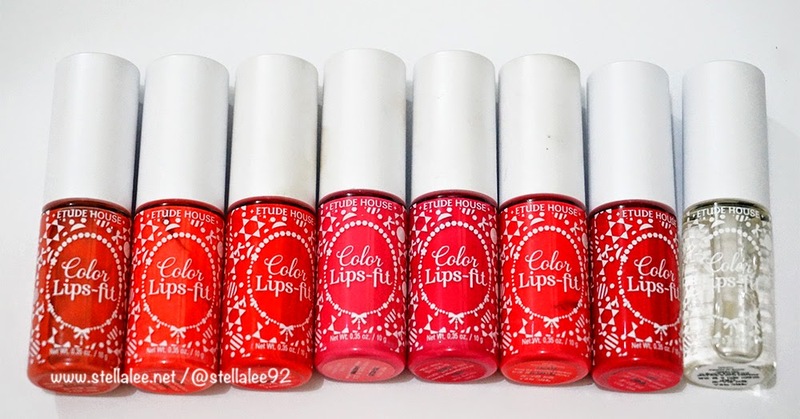 Gue pikir yang bening itu bisa bikin lipstick biasa jadi matte, eh ternyata dia glossnya malah yah. Kalo ama NYX Matte Lip Cream bagusan mana tel? padahal aku suka warna yang 301 tapi sayang glossy , aku ga cocok..